A bachelorette party is one of the best ways to let your hair down with your BFFs. It’s also the perfect opportunity to take a break from all that stressful wedding planning. Your bachelorette party ought to be an extra-special event. One of the best ways of treating yourself and your group of friends is to rent a chauffeured service, be it for a night out in Santa Barbara or a full-on weekend of wine tasting in the gorgeous Santa Ynez Valley. Whether you and your girls prefer club and pub hopping, or a day of wine tasting and spa treatments is more your thing, there are plenty of reasons to hire a limousine and chauffeured service for your special event. One of the biggest benefits of hiring a chauffeured service is the choice of vehicles. Let’s take a look at some of the most popular options in Santa Barbara. An SUV is ideal for smaller groups. Let your chauffer pick you and your party up and transport you around the bustling town of Santa Barbara. Your driver will pick you up at your accommodation and take you wherever you want to go. With all the wedding planning you’ve been busy with, this is one way to completely relax and not have to worry about your arrangements. Who doesn’t love travelling around in style? Your bachelorette party is the perfect excuse to hire a limo, complete with complimentary champagne service. A Sprinter is great for larger parties of up to 14 people who prefer forward facing seating complete with a high rooftop for ultimate travelling comfort. Your bachelorette getaway ought to be super fun, and we can’t think of anything more fun than a party bus complete with mini bar and dance pole. There’s also a complimentary champagne service so you and your party can, well, get the party started in true Santa Ynez Valley style. 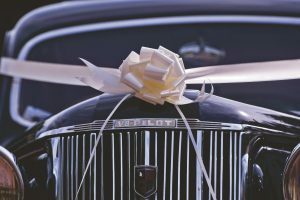 When it comes to planning a bachelorette party, there are so many benefits to hiring a chauffeured service. So, why not consider renting the best vehicle for your group and take the stress out of what’s supposed to a fun-filled occasion? Need transport for your bachelorette weekend? Silk Road Transportation has you covered.